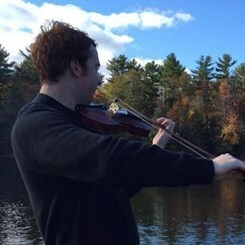 Timothy McGorrey is a violin and viola teacher from the Bucks County area. He earned his Bachelor's degree from Moravian College in music education, where he studied the violin with Inna Eyzerovich. Other teachers include Dr. Timothy Schwarz, Emily Guglielmi, Linda Kistler, and James Day. While in college, Tim served as the associate concertmaster of the orchestra and studied piano under Dr. Arianna Goldina. He currently teaches general music in the Archdiocese of Philadelphia. Tim is excited to work with students of all ages and ability levels. Tim is comfortable teaching a variety of styles and can always find something to work on. He is excited to transition from store staff to store teacher, and is always ready to welcome a new member to the Music and Arts family.